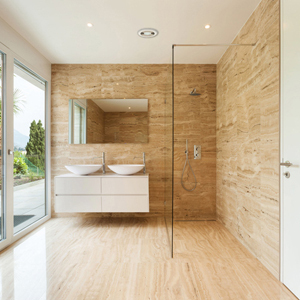 Bathroom Fans are essential in all bathrooms, to keep the room fresh and free from the dreaded black mould. Our most popular fan by far is the HIB Breeze Humidity Sensing Fan , which only comes on only when there is steam in the bathroom and it goes off when the room is back to normal humidity levels. We also do standard and In-Line fans too from HIB. We do timer models and simple on / off versions, but if it's black mould you want to avoid, then the humidity ones are really the best choice around. Mould in a bathroom needs three things to thrive. Heat, moisture and something to grow on , like soapy surfaces or dirty baths and showers. Take the warm moisture away and the mould has a much tougher job to grow. It's very simple to eliminate and proven to work by our fan experts at Byretech who have these very fans in their own bathrooms. Got a question about our Fans ? No problem, Call Steve our Fan Expert on 01527 522 522 for free advice.